Love in the thorniest of relationships! RoboVDino community » Everything Else · Posted in Congrats! Hey fluffy, thanks for picking up RoboVDino, I hope you enjoy it! itch.io Community » Game Development » Release Announcements · Posted in Throw garbage at dinosaurs! RoboVDino is coop arcade action! itch.io Community » Game Development » Release Announcements · Created a new topic Throw garbage at dinosaurs! RoboVDino is coop arcade action! RoboVDino puts players in control of FILO, the unreasonably angry robot. Pick up trash, throw it at Dinos to knock them out, and throw the Dinos into the goal before they wake up. 1-5 player cooperative arcade action combined with simple controls make RoboVDino a party game for all ages and skill levels. And... you can get it here with a 15% discount! Yes! Thanks again for your suggestions! I wanted to let you know I added some pick up animations to help players notice when they pick something up. It was a blast! I got to sit in on some great panels (that I hope become public, since I'd like to watch them again) and met a bunch of cool people. I'm hoping I can do a write-up of it soon since I haven't posted to my blawg in weeks. Extending arms is a good thought! I'll give that a shot and see how it looks. Ah jeeze, con crud! I'm glad you're doing better, that's the worst thing to bring back from a con. What do you think of this arcade floor tile? I plan on recoloring the arcade cabinets to have complimentary colors after I settle on a floor color. 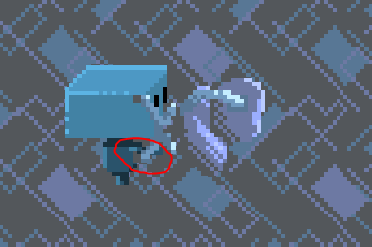 ...but tiny arms make it really difficult for players to see on a big screen. A pick up animation would be helpful in communicating "you got the thing," especially in conjunction with other context-specific effects. I'll probably be able to try something the week after GDC. Thank you very much for your thoughtful feedback, Emmy. I am happy you enjoyed the experience, the basis for RoboVDino, and my presenting it! I read through your suggestions, and wanted to let you know how they fit in, since they are fun, consistent, and great ideas. 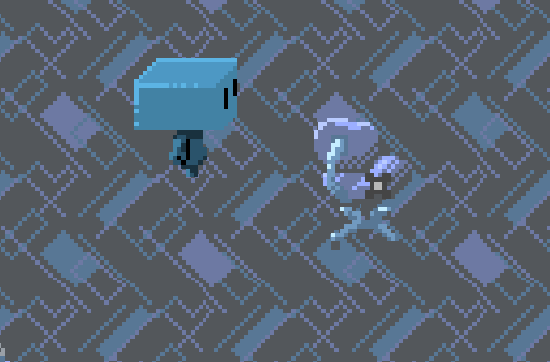 I plan on updating RoboVDino after it releases and as long as players are still playing. Suggestions like yours make great content for future updates. The dino attacks you described match up with dinosaurs (ankylosaurus, sauropods, pterosaurs) I have struggled to imagine challenges they would pose to players, so I added a couple of notes to my designs on those dinos to try out some attack ideas you came up with! Item variety is a priority for the release and future updates, so keep an eye out. Prior to ECCC, I never considered competitive vs. mode, but it was the most requested feature this weekend by a long shot. I plan on at least trying a prototype in the future. The biggest enemy of players this weekend was the camera (at least until they learned how to navigate together as a team), so I plan on trying out some different ideas. Player markers are definitely in that list since they work for many other games. The fundamental problem with arcade carpet is it's all really, really busy! I do plan on working it over until I find something I like. I plan on at least trying to tone it down, like you suggested. Consistency in the goals are a goal (pun not-intended, for once) in RoboVDino's design. 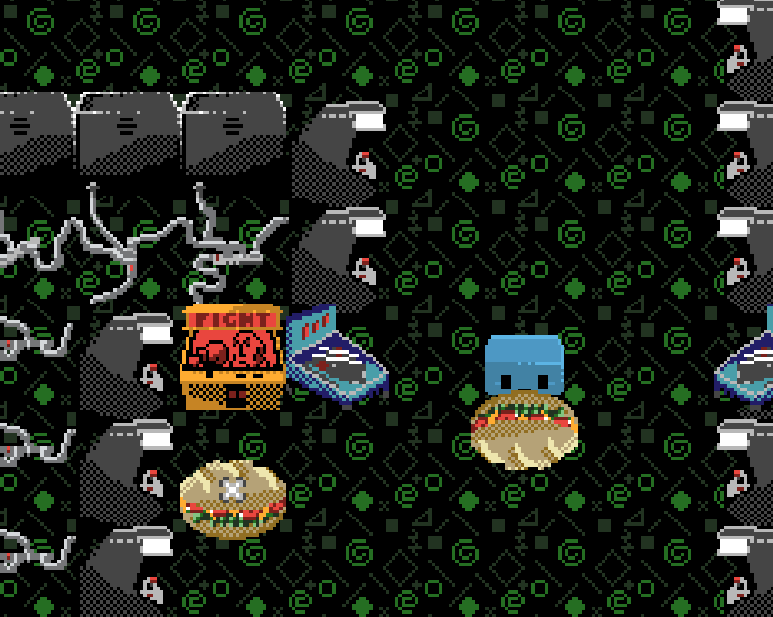 I have a couple of refinements planned, since the arrow toward the goal was often hard to spot in the general carnage of 4-player mode. Again, thank you for all of your great input and thank you so much for playing! 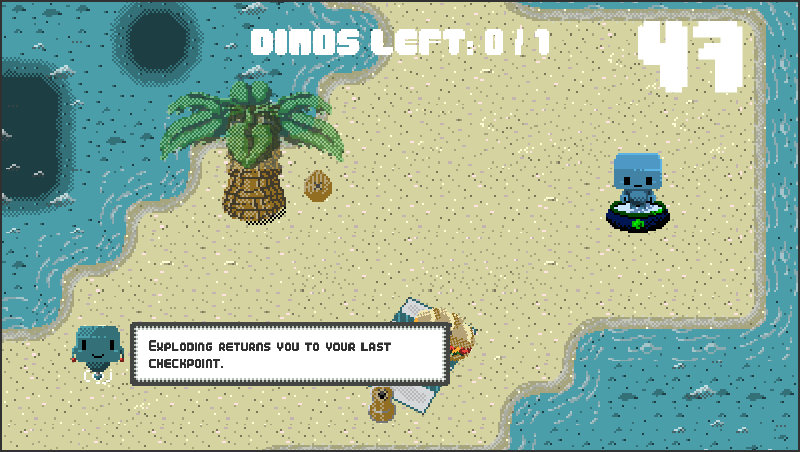 RoboVDino community » Bugs · Posted in I died with a dino, when I restarted, I had that dino again! RoboVDino community » Gameplay issues · Posted in Tutorial text covers up dinos / me! After level 3, players hit a wall of difficulty that's kind of insane. We go from 1, 3, 9, and then like 20-30 dinos required to pass a level. The problem is in the difficulty agent script on players needing a little dampening to prevent that crazy jump. Fossil Hunters community · Posted in Is Fossil Hunter listed in Itch search results? 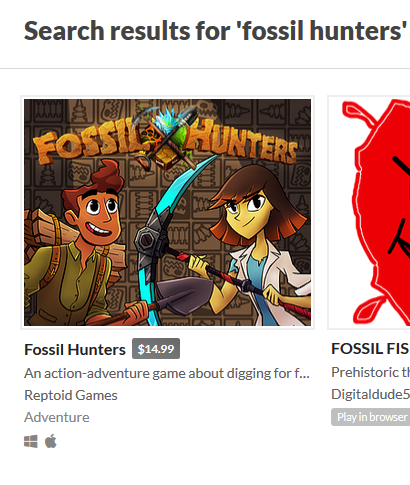 Fossil Hunters community · Created a new topic Is Fossil Hunter listed in Itch search results? 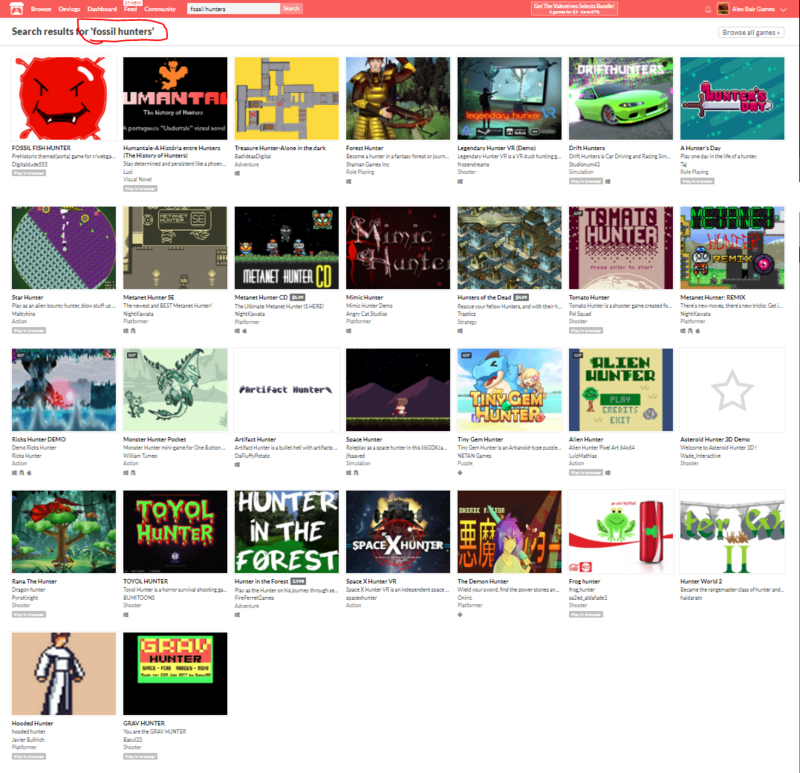 I was able to buy Fossil Hunters on Itch after seeing your Tweet, but have you checked if Fossil Hunters is listed in Itch search results? 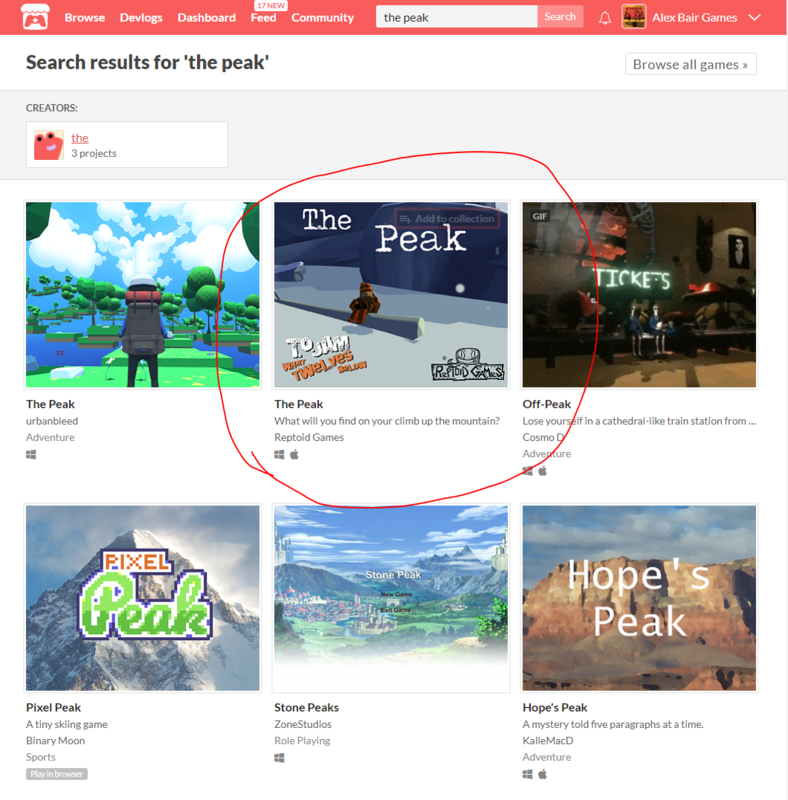 I can find other Reptoid Games from the search bar, but nothing for Fossil Hunters. I haven't identified reproduction steps, but it is really bad looking to have a fireball slide in from off-screen and there is no t-rex nearby. 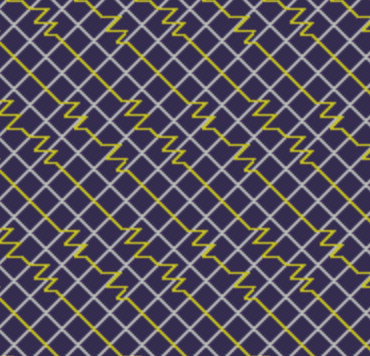 Throw a dino over a collider (e.g. the grass on stage 4) at a boat. Watch the dino sit on the boat but not go in. Watch both dinos sit there and nothing happens.